When you want the absolute best in garage door repair in Nassau Bay, come to Action Garage Door. We strive to offer our customers a level of professionalism and service you simply won’t find anywhere else. We know how important your garage door is to your home and office, and we know that problems don’t always occur on the ideal time frame. That’s why we do our best to offer fast, affordable garage door repair service every time you call. 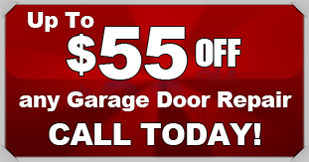 When you think garage door repair Nassau Bay, think of Action Garage Door. We have over thirty years of experience working with customers in Nassau Bay and the surrounding areas, and we are confident that we have what you need. We offer both commercial and residential garage door repair with an unmatched standard of customer care. We can do more than repair your current garage door. Our services include garage door openers, springs, and custom garage doors, to name a few. We use only the highest quality products for every repair and new installation. All of our work is done in accordance with local codes and regulations, and we work hard to be honest and transparent with every transaction. When you choose Action Garage Door, you get a repair company that you can trust to be honest with you every single time. We know that every customer is different, and that no two houses are created the same. We strive to include a variety of products that allow you to create the home of your dreams. Your garage door keeps your home and business safe from criminals in the area, and protects against the elements as the Nassau Bay weather changes. Make sure it is always functioning properly with help from us. Sleep easy at night knowing your most important assets are protected with a functional garage. We are here to take your call and offer fast, affordable, professional garage door repair every single time. Contact us for more information.